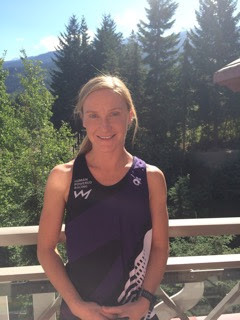 Fawn Whiting is a Canadian triathlete and member of #TeamInfinit. Fawn splits her time between Vancouver, BC and Mooloolaba, Australia. Before she fell in love with triathlon, Fawn competed in gymnastics and figure skating, before transitioning to distance running when she began University. Throughout her University career at UBC, Fawn completed her masters in physiotherapy while also racing for the Thunderbirds in track and field (marathon) and cross country. After graduation, Fawn began to train in swimming and cycling, as was soon signed up for her first long distance triathlon in 2012, at Ironman Canada in Penticton, BC. After finishing as the 9th female in the race, Fawn was hooked and the rest is history. Learn a little more about Fawn through the questions below, including her favourite cheat meal, the most valuable piece of advice she has learnt, and what a typical day in her life looks like. Athlete: My favourite athlete is Bo Horvat. I like that he was a rookie, but blew everyone away in his first year as a Canuck. In sport my greatest accomplishment is my most recent race. 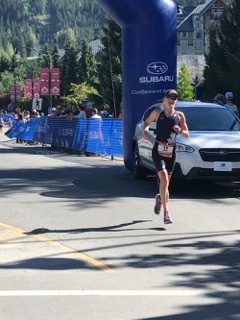 I finished 5th Female Pro in Ironman Canada in 9:46:07. It was my first time breaking 10 hours in an Ironman and it was a challenging course and windy day. My mom, because of her strength, patience and selflessness. Dedication to sport and striving for improvement in the good times and in the more difficult times. 1) Consistency: I don’t believe in major breakthroughs in ability or at least this has never happened to me. My improvements have come slowly from training day after day, week after week, and year after year. 2) Putting in the effort and not giving up in my workouts. Some workouts may not be as speedy as others, but I’m always giving my best effort. To always keep striving for improvement…. Keep the possibilities open. When I was on the track team at UBC and was running my first marathon, my coach told me that there would be highs and lows in the race and to expect them. This is even more true in Ironman racing so I don’t worry too much if I am having a low, because chances are it won’t last. I broke my elbow a month after I did my first Ironman in 2012 and ended up having 2 surgeries to fix it. Now I have a metal piece about 2 inches long in my elbow called a radial head replacement. I still don’t have full range of motion and likely never will but I don’t let that stop me. I swim 5-6 days a week, bike 4-5 days a week and run 4-5 days a week. I still work as a physiotherapist 2 days a week. My training is variable based on where I am at in my Ironman build but typically Mondays and Tuesdays are my easier days, Wednesdays includes a hard bike and Thursdays, a hard run. Friday is a lighter day and Saturday includes a long ride with a run off the bike, and Sunday is a swim and a long run. I love to train in the morning so I’m typically up early for my first workout, usually a swim. I enjoy my second breakfast and coffee after my first workout and then typically I’m out for my second workout of the day. Several days a week, I go to work in the afternoons and see patients until the evening. On the days I don’t work, I try to relax and rest and prepare for the next day’s workouts. When I can fit it in, I practice Pilates or yoga. I’m lucky that my partner does Ironman events as well so we can train together on the weekends. Repair in Chocolate Flavour (InfinitTip: Just leave us a note a checkout asking to try it in Chocolate! ), but I’m excited to try the new Infinit Cold Brew!